Former finance minister P Chidambaram Friday raised doubts over the GDP figures, wondering how the economy is growing at 7 per cent when the unemployment rate was the highest in 45 years. Taking a dig at the Centre, he claimed that when the government revised the GDP figures it did not realise that the unemployment figures also got revised. 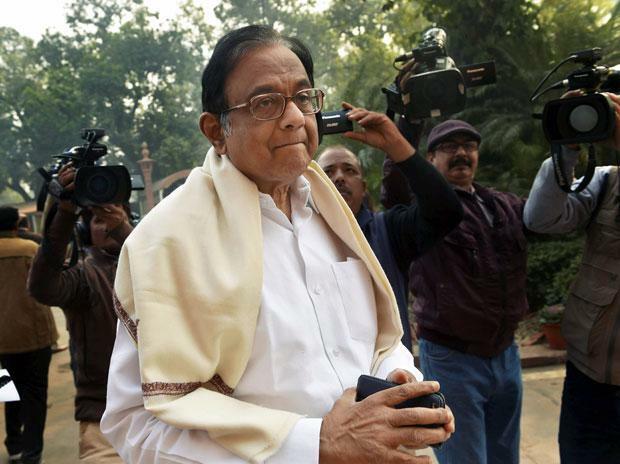 Chidambaram's remark came ahead of the interim Budget on Friday. The government Thursday said it has not finalised the survey on labour force which reportedly showed that the unemployment rate in the country hit a 45-year high of 6.1 per cent in 2017-18. The National Sample Survey Office's (NSSO's) periodic labour force survey (PLFS), according to the Business Standard newspaper, states that unemployment was last this high in 1972-73. The unemployment rate was 2.2 per cent in 2011-12, it said. "NITI Aayog vice-chairman asked 'How can a country grow at an average of 7% without employment?' That is exactly our question. With unemployment at a 45-year high, how can we believe that the economy is growing at 7 per cent," Chidambaram said on Twitter. "Modi Government revises GDP growth figures upward. What government did not realise was that unemployment figure was also revised upwards," he tweeted. On Thursday, Niti Aayog Vice Chairman Rajiv Kumar, who had previously mounted a defence of lowering of UPA-era GDP growth rates, at a hurriedly called press conference said the report cited by the newspaper "is not finalised. It is a draft report". The report generated a lot of controversy, with Congress President Rahul Gandhi saying the Modi government had promised two crore jobs, but five years later a "leaked job creation report card" has revealed a "national disaster". Chidambaram also took a swipe at the government over claims of high growth despite demonetisation and asked if this time Rs 100 notes would be demonetised. "The demonetisation year was the best year of growth (8.2%) under Mr Modi. So, let's have another round of demonetisation.This time let's demonetise 100 rupee notes," he said.